When I was much, much younger there was a terrible commercial on television advertising Shake and Bake, a product that busy mom’s can use to prepare chicken or pork in minutes. One particular version of this commerical highlighted how Shake and Bake could get your children involved in making dinner. It attempted to have a southern flaire as one of the girls bragged “And I helped!” in what must be one of the worst southern accents I’ve ever heard. That particular little actress certainly was no Shelby Foote. Ever the optimist I would rather focus on the premise behind the commerical and not the mangling of my beloved “southern-eeze” The point being that Shake and Bake is so easy to use it can be utilized as a hook to motivate children to help out at dinner time, build responsibility, and increase self-esteem. Isn’t that something we attempt to do everyday in the classroom? Though I’m not a University of Texas fan……(Woof, Woof---GO DAWGS!) I’m still a fan of “Hook ‘em.” Students must be motivated in order to become engaged with the curriculum. A little mystery goes a long way to snare an unmotivated student in your classroom web. Around the time I begin to teach English Exploration I am usually getting to the point where students examine the features of written drama, and we read various plays in Language Arts. The two academic areas dove-tail and fit well by taking English Exploration and tying in elements of the Elizabethan Age. Several years ago I had a resouce fall into my lap for Shakespeare that brings many of his greatest works down to a fourth/fifth grade reading level. Unfortunately I can’t give credit to the author as a retiring teacher bequeathed her photocopied versions of the plays to me, and I don’t have any source for them. However, I do know there are several resources for Shakespeare out there for elementary age children. In years past students have read Macbeth, A Midsummer’s Night Dream, Romeo and Juliet, and Hamlet during Language Arts while they examine English efforts at colonization and the age of pirates during social studies. 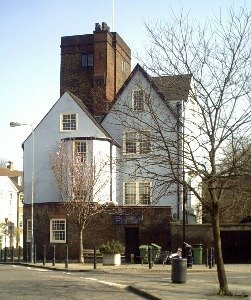 In Canonbury Tower, Islington in London, seen in the picture at the beginning of this post there is an uppermost room where there is an inscription on the wall dating back to the time of Charles I. The inscription is a list of the kings and queens of England from William the Conqueror to Charles I. Between the names of Elizabeth I and James I a name was inscribed, but has been crossed out. Click here to see an image of the inscriptions. Many people attribute the list and cross-out to none other than Sir Francis Bacon who rented the property from 1616-1625. So why would Bacon do something so outrageous? Many actually believe that Bacon was the illigitimate son of Elizabeth I and Sir Robert Dudley, Earl of Leicester. They were both imprisoned in the Tower of London in 1554 and 1555. The story goes that they fell in love and at some point were married. There is proof that upon her accession to the throne, Elizabeth made Leicester Master of the Horse and gave him a bedroom next to hers at Whitehall. I don’t actually get into the more adult details of the mystery but stick to the basics. Students do get an opportunity to analyze why the Queen of England would maintain more power by not publicizing a marriage. In student’s minds I have now connected something they have learned in science, the scientific method, to social studies. But there’s more to the mystery….. I then inform students that many people believe that the person who wrote the plays they have been reading, Shakespeare, is also Bacon in disguise. I remind students that both Bacon and Shakespeare were instrumental in shaping a very dynamic time period of two cultures….the culture of science and the culture of the arts. To be honest there is just as many coincidences that point to Shakespeare being simply Shakespeare or others such as Christopher Marlowe or Edward de Vere. Researchers have been arguing this point since the seventeenth century and many different people have taken up the mantle of proving or dispproving this or that including our own Mark Twain. These particular links here, here, here, and here tend to have more support of the two men being one and the same. Numerous coincidences are found here while these links here and here support an actual Shakespeare authorship. At some point before we move on to new pastures I ask students if it matters who was who. They almost always agree that both men no matter who they really were contributed to history and the works they left behind need to be rememberd. As I was waiting at church tonight to pick up Dear Daughter, I happened to look in my rear view mirror. 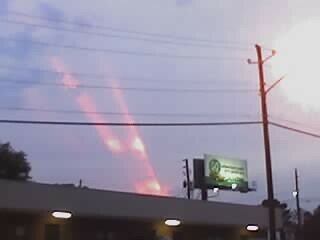 At first I actually thought someone was shining spotlights up into the evening dusk. It had been a long day, but the fog cleared long enough for me to realize I was looking at a wonderful gift of a sunset. I don’t’ believe I have ever seen the rays of the sun angle quite that way at sunset. Beautiful. The 82nd Carnival of Education is open for your pleasure over at Thespis Journal. Go on over….as soon as I can tear myself away from the sunset I’ll join you. My little charges have been working on basic human needs over the last few weeks in relation to resources, specialization, and the United States economy. To connect to our Native American standards which will be tacked next I have been hammering home the basic needs for any human: food, shelter, and clothing. 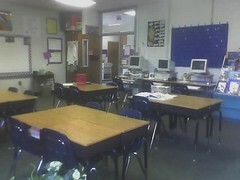 The whole point students need to arrive at is humans meet their basic needs with the resouces around them. I am also teaching two groups of Language Arts this year and we are currently examining literary elements. Character is our current focus, and I am trying to get students to evaluate literature based on what characters do and say, as well as, what is motivating the characters through the plot of the literary piece. One of the things that really surprised me when I first became an educator was the lack of motivation that most students exhibited. It has been rare to find students who are motivated to turn in neat assignments, correct assignments, or any assignments. The writing process is a real bear to get students to follow simply because they have to revise sometimes and rewrite it. Gee, you’d think I’m asking them to dig a ditch from Atlanta to Boston with their bare hands. What motivates our littler characters, our students, through their own personal plot line? Yesterday afternoon I noticed one of my students simply sitting in the hall while we were waiting on late buses to be called. I encouraged him to begin his homework which was to look up five vocabulary words and define them on paper. One of my classic cinematic/literary characters is Prissy in Gone With the Wind. She’s the one Scarlett sends to town to get Dr. Meade when Miss Melly is ‘bout to birth her baby. After being told he can’t get there in time Prissy saunters back home as slow as molasses and entertains us with her rendition of ‘tote the weary load'. She also has to admit to Scarlett that she ‘don’ know nothin’ ‘bout birthin’ no baby’. 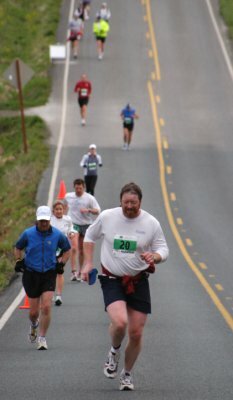 Picture the male version of Prissy and you can visualize my young unmotivated friend. After many manueverings and machinations the assignment was begun, and I was free to go forth and harass some other young wee one. The whole point of the homework assignment was for students to be familiar with their definitions and to have them out as they completed a classwork assignment today. After going over the assignment I began to walk the room to check off homework and to ‘be amongst my peeps’. When I finally stood next to my young unmotivated friend he produced a paper that looked like his dog really had gotten hold of it! “I did.” He actually believed he had. It was clear my young unmotivated friend had not written the definitions as they appeared in the book, but what he had been extremely sucessful at doing was presenting the finest example of a half-as-ed rendering of this particular assignment I have ever seen. Letters within words simply morphed into curved lines, dots, and dashes. Finally the markings on the page simply melted into nothingness…..a mere mish-mash of markings on the page. Who are you hurting when you don’t do what you need to? …..Yes, yourself. Now tell me, who will always be there for you no matter what? ….Yes, you’re right. You! You will always be there for you no matter what. You are your own best friend, and when you don’t do what you need to do you are only cheating yourself. Why would you want to do that?.....I don’t know why either. So, what are you going to do to solve this situation? Well, my unmotivated young friend got the assignment done plus his classwork. He was met with mucho, mucho praise from Elementaryhistoryteacher too. But what will it be tomorrow? Maybe my little speech worked that time but what about the next time, and we all know there will be a next time. Every human has different needs at different times that govern motivation. It is up to us as the educators to discover each student’s needs at the right time and at the right place so that we all can be successful. Research tells us that students can be goverened by approximately seven different needs that we can meet once we tap into them. It’s the tap dance that we have to do that causes the difficulty. Sometimes we are a little rusty with the steps. All students want to be sucessful. They are not motivated by failure or by a sense of inadequacy. If they feel more sucessful disrupting our classroom than they do by actually completing an assignment then guess which choice they will make. This is why it is so important to know our students as people and as learners. We must be willing to meet some students where they are even if every child in the room is on a different rung of the ladder so that we can carry them to the top. If we, as educators are not willing to do this….if we continue to teach to the top and make our classroom an uninviting place for at least one-third of our students then this particular group will never experience academic achievement. All students no matter their age want power. Think about the classes you’ve taken. Don’t you like it when you have some choice, some freedom, some responsibility for your own learning. Think about your students who disrupt. All they are trying to do is wrestle with you for power. They want it…..give it to them. Think of some ways to give them choice. Just make sure that when you give them a choice each opportunity you give is actually something you need or want them to do. Don’t forget the need for affiliation either. Humans need to be with other people. Groups can work wonders for meeting this need. I like a quiet, busy classroom but I have discovered something very interesting….during group time I hear more actual learning going on than when I stand at the front with everyone on the same page, doing the same thing, and at the same time. If I continue with the “its all about me” type of teaching style everyday I might as well be Charlie Brown’s teacher simply sitting at my desk. I’d have the same effect…. Of course, you have students who can’t stand group work and pull a Greta Garbo on you. “I vant to be alone.” These students have autonomy needs. In fact all students do at certain times. Independent projects are just as important as group ones. Mix it up. One activity can meet the affiliation need while another zeros in on the autonomy freaks. Just for the record Elementaryhistoryteacher is an autonomy freak. The fifth need students want to have met is self-esteem. I know, I know. We’ve heard it before. We have heard it out the wazaoo. Now I’m not Suzy Smile…I don’t give compliments easily and if a student needs to be made aware of a transgression or needs correction I give it. This can be done though with a modicum of tact, however. I like to think of it as truth and mercy. Think how you soar when someone recognizes your hard work. I see more and more students these days who crave safety and security, the sixth need. Research shows that if you want high productivity, high achievement, and high satisfaction in any environment students must feel they are physically and psychologically safe. This will lead to high satisfaction. We have a responsibility to maintain close contact with all our students and to be aware of what is going on in the room so that ridicule, put downs, and teasing doesn’t occur where it is not wanted. Finally, students have a need for equity. We need to strive for fairness with our students. They notice when others get special priviledges or attention. 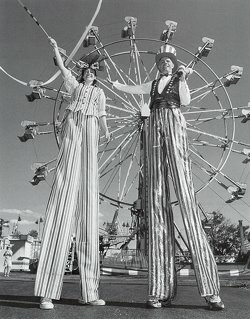 However, it is my own personal opinion that fair does not always mean equal. Well, looks like I’m going to be tapping many times over the next few months….tapping into my students needs. Guess I need to pick up a case or two of carrots and some polish for my dancin’ shoes. 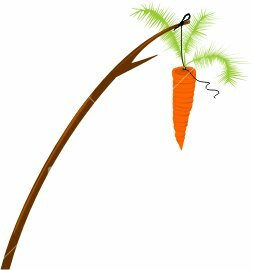 Update: Check out my comment section for an applicable link regarding motivation and meeting the needs of students thanks to kderosa at D-ED Reckoning. You can also check out these articles as well------School Leadership and Student Motivation, Student Motivation to Learn, and Motivation: What Does the Research Say? Columbus Wins!, Columbus Wins!, Columbus Wins! I can remember when the Atlanta Braves were always in last place. I can remember when they weren’t America’s team, and channel 17 (WTBS) barely had enough power to send a signal down Peachtree Street let alone outside of the old Atlanta Stadium. I can remember when no one, absolutely no one went to the games. I also remember the momentum building up to the first real winning season and all of the subsequent seasons thereafter. I will never forget that one winning game when Braves announcer, Skip Carey, was so overcome with a victory that he simply screamed into the mike, “Braves win, Braves win!” over and over and over. However, nothing….absolutely nothing can compare with Georgia’s Little League team from Columbus and their ultimate victory over Japan a few minutes ago. Yes, I know….the tournament started out with a player, a mere child, spouting the f-word which led to a 5 second tape delay from that point on. We also got to witness a player being hit by a coach. It would appear that today’s moral malaise has infiltrated Little League too. However, the ending of the tournaments was simply priceless and was a lesson for us all. Mere children placed in the position of professionals under pressure to win, win, win and the ultimate outcome that led to two sets of tears. Tears for joy and tears for what might have been. Team Columbus. you did your state proud. Not just for the way you played through the tournament, but also because of the way to acted in your victory. Pitcher Kyle Carter reminded coaches that the team needed to get on over to shake the hands of their Japanese opponents. The boys traded handshakes and nodded heads at each other and as the winning team jogged off for a lap around the field they turned and made sure their opponents knew they were to come along too! A priceless victory for us all! If you’re looking for a history or teaching post today… move along. I'm sorry, it just isn’t in me right now. I have several in the works but none where I want them to be for public viewing. Not yet….things whether good or just mediocre take time, you know. Just know that I’m pressing on, and God is good. It’s been a busy weekend. I spent Friday night grading student renderings of a physical map of the U.S. that included eleven different features, a trip to Sam’s Club to purchase the makings of a family get-together for Dear Son’s belated birthday, and a very nice dinner with Handsome Hubby. Once home Handsome Hubby checked the mail and awaiting me were the five death certificates I had requested at the time I made Mother’s arrangements. While I opened them I remarked to Handsome Hubby that I guess I would place them in the folder I have with her birth certificate until I need them. I immediately thought to myself what a tight little package that would make. A life condensed down to two sheets of information from beginning to end placed in a folder. Mom was so much more than that. The very nice dinner turned into a back-and-forth odyssey once it lazed around in my system for awhile. All night long I made the short trip back and forth, back and forth until finally exausted I fell asleep. I pondered on the death certificate copies and thought about how much I missed Mom…..not just the nursing home mom of the past few years but the mom from my childhood. The one that held my head when I threw up, handed me a wet washcloth and later on in life would stand outside by the door giving me words of encouragement. Finally, I chastised myself by saying, “Now stop this. You know Mom knows you don’t feel good. She see’s that your upset and you are worrying her. Don’t worry Mom. Stop this.” By morning I was still feeling awful but ever the trooper I helped Handsome Hubby load the car and off to his parents we went. It was a long, busy day but it was nice to celebrate Dear Son’s birthday with the in-laws, assorted brothers and sisters, including my own ‘doesn’t look a bit like me” sister, and a multitude of nieces and nephews. The thought was, “Gee, just when did we accumulate all of these kids anyway?” They were everywhere you stepped or sat. During the early years of my marriage my mother and ‘doesn’t look a thing like me’ sister often joined all of us over at my in-laws as we celebrated a holiday or birthday. It was nice to have ‘doesn’t look a thing like me sister’ and beautiful neice join us again yesterday. It was nice, but bittersweet. We all missed mother even though she hadn’t been able to be with us there for several years. Earlier this week I had another one of of those weird coincidences. I received a notice from the postman informing me they were holding a package with $1.30 postage due. Well, I was simply intrigued. In my normal manner I forgot to go by the post office for four days before I finally made it, but finally, there I was standing in a line with thirty of my fellow town citizens waiting, waiting, waiting. Finally I had my package. The return address label told me that my package was from one of Mom’s good friends who reside out of state. Eons ago this lady was part of a group of Mom’s friends that did PTA work together, lunched together and at least once a month got together with husbands at someone’s house or a restaurant for dinner. In fact, this lady’s son was the “IT” boy in my elementary school. You know, the little boy that ALL the girls think is cute. Everyone wants to “like” him, “go steady with”him, or whatever today’s terminology is. In the 1970s this young man was a “hunk”, and my Mom was his Mom’s best friend. This meant I got to spend a lot of time with the school hunk and many, many girls were jealous. My claim to elementary school fame….however how fleeting. I opened the package which contained a card, a small book with a faded cover, and a note from…….MY MOTHER. As I examined everything closer I was overwhelmed with the coincidences in this small package. In memory of your daddy who you loved so dearly. I was stunned. What surprised me first is the birthday…….my birthdate is May 13th. The second surprise was the town where these folks hailed from. You guessed it….the same town where I currently live. In fact, this particular family referred to in the dedication is a very prominent family in the county where I live. So, Mom’s friend sent this book to her when Papa died with no knowledge that my birthday and future town to live in was mentioned. “Just a note to say I know what you are going through. No one really knows until they experience it. And no one knows the hurt---the pain and anguish of sickness and death until you yourself go through it. But it always helps to know that others care---and I do. Mother also wrote down the following passages from the Bible: Romans 8, verse 18 and verse 28; Romans 8, verse 38 and 37; Romans 14 verse 7 and 8; and Romans 15, verse 4. The words of friends, the togetherness of family, the picture that suddenly falls out of a book and and makes you smile, a long forgotten note that clouds your eyes with tears, various insignificant memories, little coincidences that are much, much more than that…..this is all the stuff of pressing on. I’m pressing on. God is good. To combat my nemesis I look for opportunities to fit in as many standards as I can whether they be American History or Language Arts. Occaisionally a thousand points of light known as the Georgia Curriculum Standards blur into one strong beam of knowledge. This week students have been reading a story in Language Arts called A Train to Somewhere by Eve Bunting. The story concerns a group of orphans from New York City that travel across the Midwest in order to give farming and small town families a chance at adoption. The story is a real tear-jerker as some folks inspect the orphans as if they were new tractors or horses to purchase while it is obvious other folks truly want to adopt a daughter or a son. Students picked up on the slavery imagery real quick as some of the adult characters made comments regarding the size of the larger boys and would reach out to feel their muscles through their coat sleeves. My students were introduced to the word humiliation, and once we begin talking about the Portuguese, African kings, and the beginnings of African slavery in a few weeks students will have an experience, a feeling I can have them pull out of their emotional data bank. Of course, many of the children that were adopted in this way had wonderful families and grew up very happy. The main character in our story is placed with a couple that my students decided were going to be nice to her. While doing some research for myself I found a website for a gentleman who travelled on the orphan trains himself in the early 1900s. Though our story is set in 1878 I plan on emailing this gentleman to ask if he would be willing to receive some questions from my students regarding the trains. You can view his site here. By completing an activity such as this students would be crafting their own questions regarding a piece of literature, composing and sending an email, and evaluating a response with a real-life participant in history. One of our main reading strategies with this piece of literature was to practice sequence and to review setting. Now how could we describe setting without getting into the reasons why the orphans were on the train in the first place? Yes, an opportunity for history to shine! 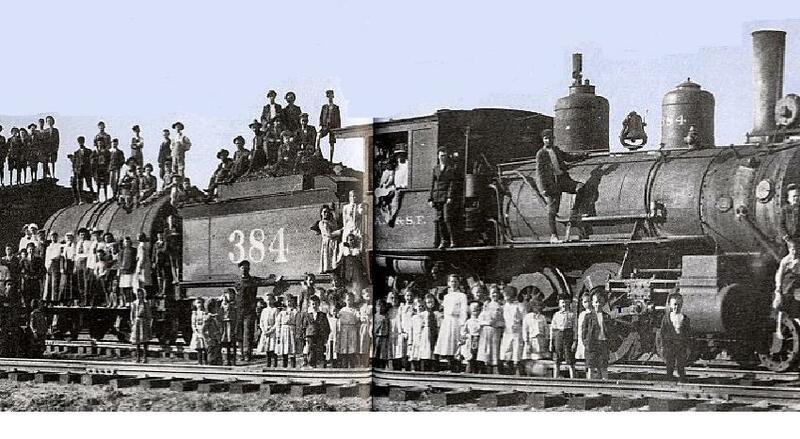 I spoke about the time period the orphan trains travelled across the country. I discussed the large numbers of immigrants that flocked to the United States during this time period and had students come up with possible reasons why they might be willing to leave their homes to go to another land. Students then discovered the huge problems that the large influx of people caused in places like New York City…..possible reasons why a parent would desert or give up their child hoping they were giving them an opportunity for a better life. We were also able to address the differences in time period. I asked students, “Would we be able to allow orphan trains to travel across the United States today?” Many students were able to see the difference. Today, we have more regulations, more scrutiny, more stop-gaps for safety. Thank goodness we do live in a different time. Unfortunately, we still have children who are neglected and uncared for. Time has changed the circumstances, but not the effect. Here is another site concerning the orphan trains. UPDATE----I found a great connection between the orphan trains, a governor, and a U.S. President. Want to know more? Visit my post at the American President's Blog here. This morning in my second period history class it felt like we were finally getting down to the business of class. We tackled Chapter One, Lesson Two by reading text and taking notes on the important parts. This lesson dealt with natural resources (renewable, nonrenewable, and flow) as well as other resources such as human and capital resources. The lesson gives students an opportunity to develop a flow chart involving the production of peanut butter by lifting ideas from the text as well as brainstorming a list of resources and classifying them into the various categories. The lesson ends with a discussion regarding scarcity and opportunity costs. This is the time of the year when I teach the features of the textbook and attempt to persuade students to look for the definition of various vocabulary words in context. Why go to the back of the book when you don’t have to? The flipping back and forth can really confuse some students who struggle in their reading. We discover that the text gives us hints about the definition of a word such as the word “is” following a vocabulary word. Students are learning that “is” is a hint that a definition may follow. They get real excited trying to beat each other out in finding the definitions first. This year our brand new text provides the vocabulary words highlighted in yellow and a main idea is written at the beginning of each major section. We are including the main ideas in our notes. Notes? Yes, Elementaryhistoryteacher requires her students to take notes. Once upon a time when I was an aspiring student teacher I sat at the knee of a master. She modeled for me a wonderful method for students to use in keeping a notebook. This method worked for her, and it has served me well for several years. Many of my former students who are now in highschooler who come back to visit tell me they have relied on my method for various classess if the teacher doesn’t have any notebook requirements. It would appear that my current group of students are making a smooth induction into the Elementaryhistoryteacher’s ever growing notebook-notetaking procedure club. It is a fairly simple procedure especially for my fourth graders considering they have arrived at my door with their third grade mentalities still intact. This method begins and ends with a two pocket, three prong folder. It can’t be any other type. We put out a supply list early in May and again in August but I still have a few who two weeks into the school year don’t have the proper folder. 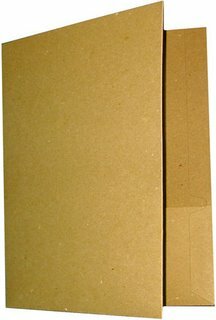 I usually purchase a hundred or so folders with my classroom money to have on hand. This year they went fast. As of today they are all gone. Rather than wait on certain students to finally purchase what I require I simply tell them to pick a color and for Heaven’s sake let’s get on with it! Once everyone has folder we label it on the outside cover in this way------“Social Studies” and the student’s name. Students are then asked to take one sheet of notebook paper and lay it on their desk. I ask them to lay their left hand down on the desk by it. I tell them they will always be writing on the correct side of the paper if they check to make sure the holes are on the same side as their left arm. It’s amazing how many kids don’t even think about the side of the paper they are using. This simple reminder seems to help. I ask students to place at the top of their paper “Social Studies Notebook” in the center. The next line states, “Table of Contents” while the third line is for the name of the particular unit. In our case it is “America’s Land”. Students then receive a lesson in how to open a three prong folder and how to place paper in it. The majority really have no clue. I visit each table group and model for students with one folder. I tell students their table of contents should always be the first thing they see when they open their folder. I then pass out their study guides. These are very simple documents that I present more for parents than for students to use. At the top is information involving the name of the unit, the text pages that will be used, the standards the unit covers, information regarding absences from class, the unit test date, as well as unit vocabulary and lesson questions. My school system follows the Max Thompson/Learning Focused method of creating lesson plans so each unit has an enduring understanding/essential question and each lesson has a key question that students should be familiar with and should be able to answer in order to demonstrate mastery. I ask students to lay their study guides on their desk face up and place a small number 1 in the upper right hand corner similar to a page number. I then ask students to return to their table of contents and next to the red line place a number one and list by it “Study Guide”. We then open up the prongs, place the Study Guide inside, and close the prongs up. Someone always quips, “Gee, it’s like a little book.” They are exactly right. Students are making a mini-book or portfolio, as if were, regarding the particular unit of study. As we progress through the unit we add notes and activities as we go always adding a new page number and making an addition to the table of contents. Students who have been absent learn to compare their table of contents to the one I keep in the classroom to see what was done while they were gone. This morning as we began a new lesson I had students open their books and have one new fresh sheet of paper on their desks along with their pencil. I wrote on my classroom table of contents “3. Notes: Our Nation’s Resources” and requested that students add to their own table of contents. At the top of their fresh sheet of paper students were asked to place a page number 3 in the upper-right hand corner and title the paper “Notes: Our Nation’s Resources”. We then were ready to begin reading and transferring important information to paper. Once the notes are complete I remind students to choose two colored pencils and color code their notes by underlining the main ideas in one color and underlining the vocabulary words in another. In this way important information jumps of the page and parent helpers can locating information more easily. Asssignments such as crossword puzzles or other activities are entered on the table of contents by title such as “Crossword-Landforms” or “Flowchart-How Peanut Butter is Made”. 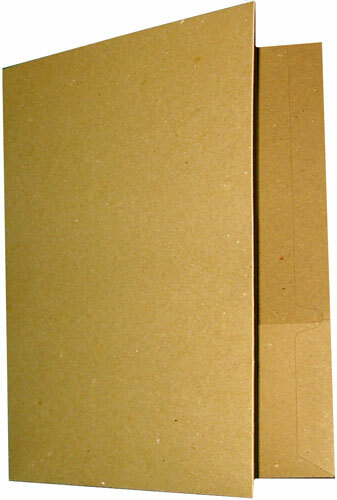 The front pocket of the folder holds graded tests, etc. Students are asked to keep tests to use to study with for nine week comprehensive benchmark exams as well as to use in preparation for the state test at the end of the year. The back pocket holds twenty to thirty pieces of fresh paper. Notebooks are graded at the end of each unit. Students trade folders and check off the table of contents compared to the items in the prongs. They made note of any problems with the folder by noting them on the table of contents. I have found that students who are having difficulty benefit from grading other notebooks. We generally end up with 10-12 items per unit in notebooks so items end up counting around 10 points each. It makes it very easy for students to assess a grade. Once graded, students remove the papers from the prongs, staple the mini-book together with the table of contents on top and store the papers in their back pocket. Students are asked to keep graded notebooks during each nine week period. They can take them home to store or to do whatever they want to with them as long as I don’t know. I explain to kids that I have a real problem with them throwing away all of their hard work so if they do wish to throw their notebooks away they should do it at home. So what’s the big deal? Why does Elementaryhistoryteacher make her young charges go through a note-taking, note-keeping process such as this? Yes, certain students resist me, but they come along in the end. Yes, certain students are mentally/physically unable to handle these tasks. We adjust where needed according to IEPs. In a future post I will take a look at the research that backs up the use of note-taking and summarizing in the classroom. A few months ago I shared a family memory in a story titled A Sticky Easter Memory. At the end of the story I promised another tale involving my Aunt Rachel, myself, and a Kentucky Fried Chicken leg. This story does involve Kentucky Fried Chicken, however. KFC is a mainstay of any Southern family diet along with Coca-Cola or as we refer to it, Coke. You can’t go to a family reunion, church social, tailgate party, picnic, or any other type of gathering without seeing that familiar red and white bucket. Other fried chicken chains may come and go, but “the colonel” remains “finger lickin’ good”. I’m really not that fond of it, however, I know if I don’t partake of it from time to time I might have to surrender my official Southern Genteel Lady card. Like it or not though, I am fully convinced you can’t go into labor, at least with the first birth, unless you’ve eaten it. 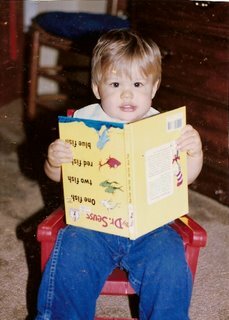 Twenty-one years ago today our beautiful baby boy was born. He was eight pounds, ten ounces and twenty-one inches long, born around 10:30 p.m. wide-eyed with wonder at the world he had entered. Once the nurse put “the boy” as his father and I refer to him, in the tiny glass bed we called his name and the little thing actually turned his head to look at us. We melted and have been doing so ever since. The night before Dear Son was born Hubby Dear was stuck on the base at Damneck, Virginia. He had to work late. His buddy who hailed from Tennessee decided to come by and check on me since I had spent a miserable July and August waiting on Dear Son to arrive. No Christmas from your childhood can compare to the agonizing wait to hold and see your child. The hot, humid days dragged on. I got so tired of hearing from family back home wanting to know when? When? When? Well, our friend showed up with, what else? He had a large bucket of extra-crispy Kentucky Fried Chicken and several sides. I ate it, and I swear at four-thirty the next morning I awoke with a start with the knowledge that I was either having an accident in the bed or my water had broken. Dear Son is no longer that sweet, sweet cherub seen in the picture. He was busy reading his book and we didn’t have the heart to tell him it was upside down. Today he is every bit a young adult male. He towers over me as I hug him with my face buried into his chest. The chubby cheeks have given way to chisled good looks and whiskers. He can no longer crawl into my lap, but occaisionally he gets on his knees to hug me and things seem right again for a few minutes. All the little boys that lived our neighborhood are all grown now, but a few years ago these three streets where we live were raucous with their activity. At first all the moms would make phone calls to make sure it was ok if the boys played at a particular house. Later as they got older they were given more leaway and pretty much came and went from various houses as they pleased. Bikes, skateboards, and big wheels littered various yards as they moved through the neighborhood like a herd of locusts. For a time our driveway was busy as they were into playing basketball. Thud, thud, thud went the ball as each young man would sink it. Soon after we moved into our house I allowed Dear Son outside and kept a constant watch on him through the window. I heard a car go by and a horn honk. I ran to the window. There was Dear Son peeing up a storm. A perfect, very high arch of liquid rocketed out of his body while his other hand was waving to the neighbor couple up the street as they drove by. There is nothing to compare with having a son! There was the great wave of sickness one summer as one young man dared the rest to take a drink from our creek. Have you ever heard the expression going at both ends? Another time Dear Son spent an uncomfortable three days on his belly after his skateboard scooted out from underneath him as he was racing down the hill. The skateboard stopped but Dear Son didn’t and a fair patch of hide was taken from his po-po. What? You don’t refer to the rear end as a po-po? Dear Son said, “No, just wanted to come home.” No sooner was that out of his mouth than I began to hear the wail of the siren. It was getting closer. I looked out just in time to see a fire truck, a fire chief’s car, and a sheriff’s deputy turn down the next street at breakneck speed. His face appeared at the top of the steps. Well, as it turned out Dear Son was telling the truth. The others admitted to it, and their parents had to talk to the police. Dear Son, of course, made every step his Daddy did and always wanted to do everything his Daddy did. Of course this meant Daddy’s hammer being left outside during a rainstorm, Daddy’s bass boat having muddy footprints all over it where someone climbed all over it and Daddy’s tackle box in disarray. Later on Daddy’s truck would be driven a bit too fast and it was always returned lacking a large amount of gas. Trips for fishing, camping and golfing were all termed “No Girls Allowed”, and Daughter Dear and I were fine with that. Today, the streets are quiet. All the little boys are in college, are working, or serving their county in Iraq or about to be. During middle and highschool Dear Son began singing at school and at church. He is our child, but what a wonderful gift from God his voice is. He sang at mother's service and it was so hard for him to do, but he did so well. In the eighth grade we gave him a guitar and promised lessons. He eventually gave up on our promises and taught himself. You wouldn’t know he hasn’t had lessons. His Senior year he had two MRI’s within a month. The first involved a touch football incident and the second involved a stupid choice of standing up in the back of this friend’s pick-up while the friend gunned the truck across the school parking lot. Later that summer we experienced an emergency appendectomy. Thank goodness for teacher insurance. We had quite a scare the second month of college. His room-mate overcorrected on a mountain curve and flipped several times. Dear Son was the only one hurt…….his back was badly bruised and he still has problems three years later. There is no way you can raise a child without Divine Intervention. The hand of God has kept our child safe, has given him decent friends, enabled him to share his beliefs through his music, and enabled him to touch so many lives in so many different age groups. Hubby Dear and I are anxious to see God’s plan unfold in his life and are honored to be able to take part. Well, our Dear Son. We wish you a very happy birthday. We are extremely proud of you, and we can’t wait to share twenty-one time two more years with you! During the four years my mother spent in a nursing home my sister and I were not her only visitors. There was a core of lovely ladies who regularly came to spend a few minutes or they sent her cards and letters. They are all so very special to my sister and I…. now that Mom is gone. One very nice lady in particular was from my Mom’s hometown and they had gone to school together. Later on in life they both found themselves living in the suburbs of Atlanta, but rarely communicated. Later, after my parents divorce they both discovered they lived in the same small town south of Atlanta. They spoke often on the phone and visited some. After she went into the nursing home Mom’s friend, Nina, would pop in early on Saturday or Sunday mornings and attempt to cajole Mom into eating something. Sometimes I would come in and catch Nina standing by Mom’s bed holding her hand, or attempting to cheer her up in some way. In fact, she was Mother’s first visitor in the nursing home and was one of the last friends to see Mother alive. She was a dear, dear friend to be so loyal and to come by as often as she did. 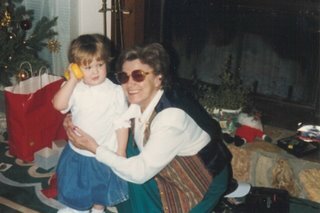 Like me, she often left Mom’s room in tears remembering the vibrant lady my mother once was. Nina was unable to make it to the funeral home after Mom passed. Many of Mom’s highschool friends deluged my sister and I with Nina’s apologies. Her house had just sold and the closing simply couldn’t be rearranged. She was afraid the other party would back out. My sister and I understood. A few days after the funeral she called to apologize directly to me and I told her she had already done above and beyond what she was supposed to. She had helped Mother while she was alive and that meant so much to Sister Dear and I.
Nina and I continued to talk for a bit. She was concerned about finding a new house. She and her husband had little time before the new owner took possession, and they weren’t looking forward to the move. We spoke of the funeral and how all three of Mother’s grandchildren had taken part in the service. I spoke of my in-laws telling Nina they were in Tennessee when Mother left us and for many different reasons they couldn’t get home for the service. As I told Nina how wonderful my in-laws are she suddenly made a connection between my last name and the name I was calling my father-in-law by. She said, “Is your father-in-law ……?” I told her yes, and she explained that she had worked with my husband’s father for several years before she retired. We both decided it was indeed a small world, but is it? The past is chock-full of different types of coincidences. During the production of The Wizard of Oz the costume department purchased many of the articles of clothing used in the movie from second-hand stores. At some point it was discovered that the jacket purchased for Professor Marvel had indeed belonged to L. Frank Baum, the author of the book the movie is based on. Thomas Jefferson and John Adams both died within hours of each other on July 4, 1826, the fiftieth anniversary of the signing of the Declaration of Independence. The 1519 arrival in Mexico of Hernan Cortes precisely matched a prediction by the Mayan Calendar that a pale-faced god named Quetzalcoatl would return and claim Tenochtitlan. Two different Umbertos were shot dead in Italy on July 29, 1900. The first Umberto was Umberto I, the King of Italy. The second was a restaurant owner in the city of Monza. That is coincidence enough, however, both men favored each other in looks and both had wives with the same first name. The King’s coronation and the opening of the restaurant occurred on the same day. And……I certainly don’t want to leave out the fact that King Umberto had dinner in the other Umberto’s restaurant the night before the King was assassinated. The real kicker? The restaurant owning Umberto was also shot dead on the same day. Harriet Tubman, the mother of the fight against slavery died in 1913. That same year the lady who would become a symbol of the struggle for civil rights was born. Her name? Rosa Parks. Sometimes in history we find unexplained repetition regarding numbers. Benjamin Franklin was born on the 17th, including Franklin his parents had 17 children, Franklin ran away on the 17th, and he died on the 17th. Even nature has coincidences. As we gaze upward at night we always see the same image of the moon. Actually, the moon rotates and revolves around the Earth. Amazingly it does both at the same speed. The same side of the moon is always in synch with the Earth. A random occurrence? Hmmmm…..
Search the web and you can find all sorts of coincidences. Some revolve around the year 1066 and the D-Day invasion of Normandy in 1944. There are coincidences involving 9/11 as well as the over-referred to coincidences between the assassination of JFK and Abraham Lincoln. There are even several coincidences involving NASA. There are many theories to explain strange relationships and occurrences throughout history. Some theories take on wild explanations involving conspiracies. Littlewood’s Law explains coincidence by stating that if the sample size is large enough anything can happen and on the average one can expect a miracle at least once a month. If that’s true then Littlewood owes me a few. One particular theory is Synchronicity propsed primarily by Carl Jung. Wikipedia states this theory involves “temporally coincident occurrences of acasual events.” Huh? What that means is the human mind finds meaning and significance where there is none. These coincidences occur because of a strong need in the individual to make connections. Many people have read Jung’s book titled Synchronicity. On the cover of their 1983 album, Synchronicity, The Police refer to Jung’s book. I still have the album which shows Sting reading a copy of Jung’s book and different images of actual text from the book appear on the front as well as the back cover. Another theorist, Arthur Koestler, “attempts to link Quantum Mechanics with neutrinos and their interactions with time” per Wikipedia. Again, my reaction is…..Huh? Apparently a character in the movie V For Vendetta is seen reading Koestler’s book, The Roots of Coincidence. Another book by Koestler, The Ghost in the Machine, uses a phrase by British philosopher Gilbert Ryles as the title. Koestler felt “as the human brain has grown, it has built upon earlier more primitive brain structures and that these are ghosts….” So coincidences are actually imprints from an earlier time or memory? I guess that would explain why another album by The Police is named Ghost in the Machine, huh? Albert Einstein, a very learned man well versed in Physics is quoted as saying, “Coincidence is God’s way of remaining anonymous.” I agree with my friend Albert. As a Christian I cannot believe something happens simply because of randomness. I also have a hard time believing that all coincidences occur simply because I create meaning for them, or that they occur because man has a collective conscience, an imprint from earlier times a la Koestler? Nope, I don’t buy it. Periodically in your life there are people or people those people know that reappear every so often in your life to impact it in some way. Sometimes you realize it. Sometimes you have no idea. These random acts are not random at all. A higher power is at work in my view. It would make sense of course that from this point on my sister and I might hear from Mom’s friend Nina through a Christmas card or occaisional note. However, a higher power had a different plan. “Okay, hit me with your best shot,” I said. Sister Dear proceeded to tell me about a house in a town outside of Atlanta that her husband kept driving by. The house had a ‘for sale by owner’ sign in the yard. This is not the town where my sister lives. In fact, it is several miles away from their home, but my brother-in-law is there periodically because he has family there. He finally stopped at this house and gave the elderly owners his business card and told them when they were ready for a real estate agent he was their man. He checked back with them a couple of times and finally they gave him the listing. This morning my full time brother-in-law, part-time real estate agent showed this particular house to another “retired” couple. They loved the house and decided to buy it. It seems they had already sold their house and were getting anxious to find a home they liked. Brother-in-law not only will act as the seller’s agent but will also be the buyer’s agent as well. A double whammy as it were! Guess who the buyers are? You guessed it…Mother’s dear friend, Nina and her husband. During their discussion Brother-in-law’s last name made a connection in Nina’s brain and she asked if he was married to my sister. He confirmed it and everyone was simply shocked. As I hung up the phone I softy said to the air around me, “Thank you, Mother. I love you!" What's better than one carnival? Why two, of course! Mode For Caleb is hosting the History Carnival here while the Education Wonks is presenting the Carnival of Education here. Ok, here’s a challenge for you…….What does Thomas Paine, the center of the universe for the Cherokee Nation, and the Rosicrucians have in common? C’mon, take a wild guess, I’ll wait……..
It’s ok, I’m still here…….take your time. Yes, I know it’s intriguing…….what could it be? If your answer was the Georgia Guidestones you would be correct. 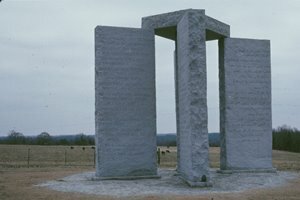 Georgia Guidestones? Yep,Georgia Guidestones! Some folks refer to them as the American Stonehenge including Yoko Ono. She loves them and thinks everyone should see them. The Georgia Guidestones are located just outside the small town of Elberton, Georgia, the granite capital of Georgia. What better place for a mysterious man to appear suddenly one day and arrange to have a monument erected based on, according to him, the principals Thomas Paine expressed in The Age of Reason. Elberton, Georgia is also very close to Al-yeh-li-A lo-He which is the center of the universe according to Cherokee legend. In fact, major Cherokee trails radiated from the Elberton area and major ceremonies were performed there annually. Sounds fairly interesting until you actually read the ten guiding principals etched on the stones. Then it becomes strange. The first one calls for a world population of no more than 500,000, 000. That means that the majority of the Earth’s population would need to perish in order to reach a harmonious balance. Many call these principals the ten commandments of the New World Order or that they are the guiding principals of the Anti-Christ. Another tie-in with the Cherokee Nation’s center of the universe is a legend that states the “new age” will begin from Al-ye-li-A lo-He. Others state the whole thing is a stunt by the city fathers of Elberton to boost tourism. Review the evolution of the guide stones here. Here are some other links for the stones here, here, and here. Google the words “Georgia Guide Stones” and there are many, many links to sites that are interesting in a strange sort of way as you click each one. Careful though......don't get sucked in! Does It Matter Who Is Really First? We may never know the answers to some of history's most baffling questions, such as why Stonehenge was built or what happened to Amelia Earhart. But when it comes to other groundbreaking achievements, we may just never agree on who deserves the credit. After Lots of Small Steps It Adds Up concerns the invention of the computer and how it took the trials and errors of many different people to come with an item that has revolutionized most of the world. Washington? Get In Line is yet another examination of our presidency and who was really first. I myself have posted on this very topic here with So Who Was Our First President Anyway? The Most Influential Song You Have Never Heard asks the question who was the first rock and roller anyway? How could I not include Musings for the Millions which examines who could possibly have been the first blogger. It certainly wasn’t me! And finally, how I could I not provide you a link to this title, Does Being First Matter? which examines the imporatance, if any, of being first. So, as my title states does it really matter who is first? It may not matter to the rest of us, but I think it does matter to the person themselves especially if they have worked extremely hard to do something. Enter my father’s house and take a left into the great room, walk by the large screen television and hang a left into the foyer. Keep turning to the left and walk up the steps. Notice the graduation portraits of my sister and I. Take a left at the top of the stairs and you’ll find yourself in my bedroom. Go to the closet door and enter. Go all the way in….it’s a walk-in. Look to the right and you’ll notice a small doorway into another smaller storage area. Inside you’ll find boxes of old school papers, Seventeen magazines, my old green RCA record player that was my sister’s until she got married, copies of The Vorpal Blade, my highschool newspaper, my green trunk that I took with me to college, and you’ll notice on top of one stack of artifacts a dusty cassette player and a faded blue shoebox. Carefully lift the shoebox in one hand and the cassette player in the other, and take them ever so carefully into the bedroom and lay them on the bed. 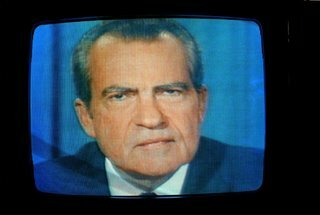 What you have just extricated from the relics of my younger days is directly related to August 8, 1974, the day that Richard M. Nixon became the first U.S. president to resign from office. What could my relics possibly have to do with President Nixon’s resignation speech? To find out head on over to American Presidents here for the rest of the tale…..
Calfornia Livewire: Teaching in the Golden State has done a wonderful job putting together various posts in a readin’, writin’, and ‘rithmetic theme. The pictures along with the post are snaps of an authentic gold rush era school house. I’m looking forward to lingering there for some time linking to a very well rounded series of posts. Follow the link and catch up with the goin’ ons in the edusphere! Natural vs. man-made is a hard concept for nine year olds to grasp when they live in a techno-world where real is fake and fake is real. I attempted to introduce this topic to them today. Students were given a pristine sheet of white paper. Luckily I remembered to remind them not to make any marks including their names on the paper until they received instructions. If I hadn’t given that instruction I would have had several Picasso’s in the room before I had handed out all the paper. I asked students to fold the paper in half from top to bottom and make a crease in it. As I instructed them I modeled what I wanted them to do. Once their paper was creased students were asked to open their paper up. I asked them to pretend that they were with someone who did not know anything about the United States. The someone didn’t know where the United States is or what it would be like to live here. I then asked students to sketch an outline drawing of a map of the United States to begin their discussion. The catch was they couldn’t look at anything. They had to draw their map from memory. Looks of terror came across some of their faces. One young man began to open his book. I stopped him. I tried to ease some minds by telling them that there are no rights or wrongs for this activity, but they did need to try. Most everyone got the basic shape. All but a couple included the shape of Florida. In each group I taught today a few included inset maps of Hawaii and Alaska which I hadn’t even thought of. Two or three included some major cities. I called time and drew an outline map of my own from memory. After eight weeks of summer I was a little rusty, but the basic shape was there. I then asked students to redraw their map in the bottom half of their paper now that they had a model to go by on the board. They were more determined and self-assured this time. I kept taking responses until almost everyone had suggested something. A few suggested London or the Leaning Tower of Pisa. I declined to add those since they are not in the United States. I ‘m fairly pleased with the list my new students came up with to represent what the United States is all about. Of course I love the references to the Declaration of Independence and the Constitution. Prior knowledge always helps later when we study the formation of our government. The suggestion about Daytona Speedway, well, I am in the deep South, you know. That’s to be expected along with the Atlanta landmarks like Underground and Stone Mountain. It’s clear that my third grade colleagues did their job as these students understood any bona fide map should have a title, compass rose, and map scale. I can refer to the suggestion for state boundary lines and state capitals later on next week when I discuss the difference between political maps and physical maps. After we exhausted our suggestions I told students that I could look at the list and divide it up into two categories. I reminded them that all of the list entries were great features of the United States. I linked the word feature to the word characteristics so they would understand they can be used in place of each other. Finally, I told students that we were going to spend a few days talking about natural features of the United States. I instructed them to watch me as I deleted everything on the list that is man-made. Only the items in green made the cut…..everything else I deleted by drawing a line through it. There were several gasps when I deleted state boundary lines so I stopped marking items out to elaborate a bit. I reminded them when they crossed the Alabama state line they don't see an actual line across the Earth. They agreed. I reminded them that political boundaries are ideas of man and are not natural to the Earth. 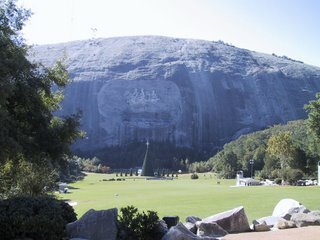 Many were surprised that Stone Mountain was left in the category of natural features. Find out more about Stone Mountain here. I reminded them that the parking lots, buildings with exhibits and stores, the train that circles the mountain of granite and the carving on the face are all man-made, but the mountain itself is natural to the Earth. Making the list together and then observing me cross most of the list off is a very powerful image to students. It helps them have a visual for the difference between natural and man-made. I found out what my new students think America is. I also garnered some important information regarding their prior geographic knowledge. It was fun too! Yesterday was the first day of school for parents, teachers, and students in my school district. It seemed from the many discussions at our Open House Thursday night that students have become bored, parents were tired of trying to entertain their children, and most teachers would be happy with just another week to feel fully prepared. The school year is here, however, whether we want it or not. I can't believe I haven't posted in almost a week. 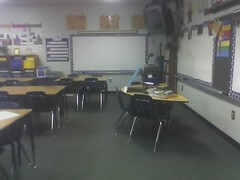 Since Monday I have been in meetings, and have frantically attempted to clean and arrange my classroom for the best learning environment I can. 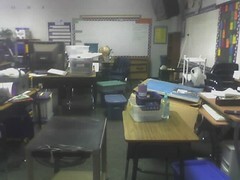 My team has worked well together attempting to shuffle resources around so they are in the proper room. A colleage of mine, our music teacher, told me Thursday he felt like a gerbil on one of those exercise wheels. Spinning, spinning, spinning, and not really getting anywhere. I have to agree with him. By the time I had gotten home after Open House Thursday night I had been at school for a total of thirteen hours( just that one day). I couldn't even put together a coherent sentence I was so tired. 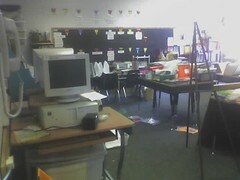 This is a view of my room from the hallway door as I began to put my room back together. 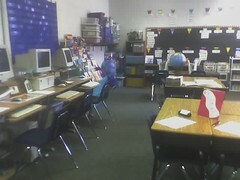 This is the same view minutes before parents and students arrived for Open House. This view is also from the hallway door, but it looks towards the back of my classroom where I have a very extensive classroom library for students. I have over 500 books that I have brought from home as my children tired of them or that I have bought myself. Here is the same view after I worked my tail off. I placed all three of my computers along the wall to make more space to move above the room. 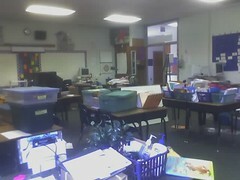 This view is looking towards the hallway door and is taken from behind my desk. All of my individual units are packed within the plastic tubs you see. The binder that holds my lesson plans, extra copies that didin't get used the last time I taught the unit, accompanying teacher resource books, tradebooks, etc. all fit nicely in the tubs. Each tub is labeled with the unit name such as "Civil War/Reconstruction", "Native American Regions", or "American Revolution". Some units are so large I use two or three tubs to hold everything. The teachers on my hall were all making these cute little hallway displays to welcome new students and place student names outside their doors. Elementaryhistoryteacher is not into cute little cutesies. I admire them, but just don't seem to do them myself. The last year I taught fifth grade my teaching partner from across the hall had the language arts students write letters to teachers who had impacted their elementary years. 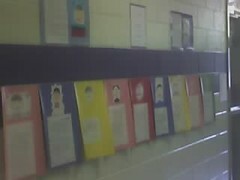 Several chose me and this colleage took the letters and the student's self-portraits and laminated them onto construction paper. The group of students presented these to me the last few days of school. I treasure them and make it a tradition to haul them out from the protective case stacked on top of my classroom closet and display them for Open House. Occaisionly one of the students show up with a younger brother or sister and they are surprised to see their work on the wall. I place a caption with them that states "Elementaryhistoryteacher is kid-tested and board approved!". It fills up the wall along with my new homeroom list. 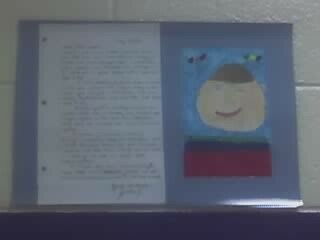 The mother of this particular student who wrote me a letter teaches in the lower grades at my school. I told her she needed to come to my end of the campus to see her child's work. She said she would and advised that her young man has just gotten his learner's permit. Wow! I'm old. Yesterday morning another colleage of mine who works with our special education students brought her son in before taking him to the middle school to start his eighth grade year. I gave him a good squeeze and realized he could now see the top of my head with gray hairs scattered here and there. I didn't have my glasses on and had to stand on tip-toe to see the shadow that stretched along his upper lip. My new view confirmed it for me. It was no shadow, but the faint beginnings of a mustache. It was the perfect beginning for a new year. Brand new students making the transformation from third graders to fourth graders, and a reminder that time marches on for former students after they have left me.